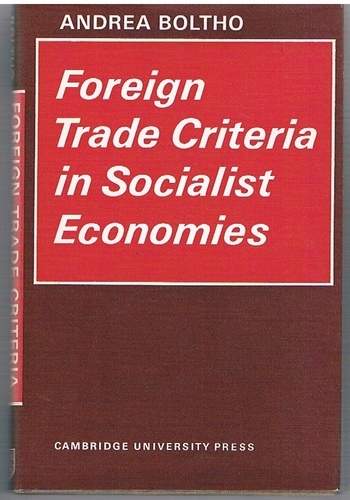 Foreign Trade Criteria in Socialist Economies (Cambridge Russian, Soviet and Post-Soviet Studies). Almost as new in original unlipped dust-wrapper. Clean, bright and tight. Unused. 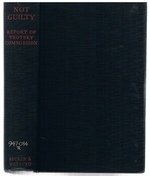 ; with bibliography. Russian Hussar. 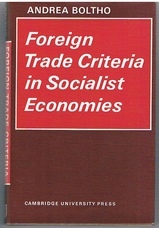 Foreword by Sir Robert Bruce Lockhart.